DbWrench handles the details so you can focus on your design. Try it out! Download now! Our priority is to implement features that will save database developers time with their database design tasks. We use extensive testing and continuous release cycles to build a product users can rely on. Run DbWrench on Windows, Mac OS X and Linux. All with a single license. 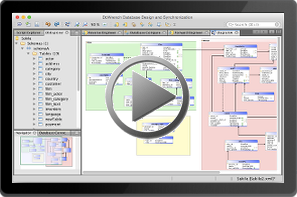 Run DbWrench with today's most popular database systems. Again all with a single license. We endeavor to respond to user questions, requests and problems in a timely manner.